What’s crackin’ fellas? 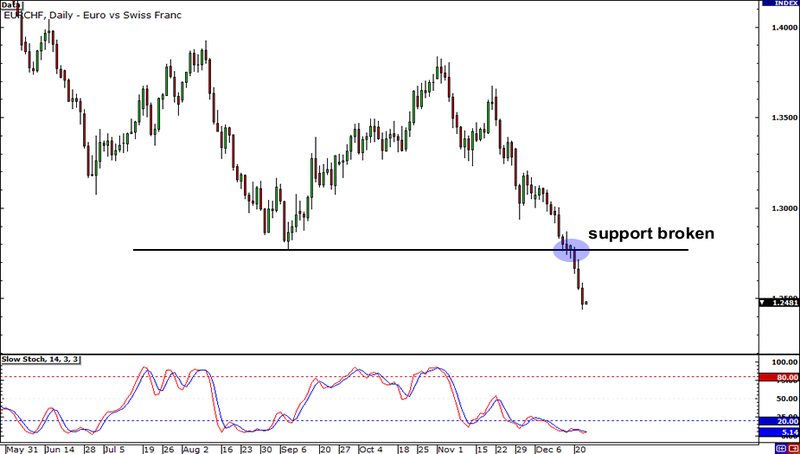 Today, it looks like we may get another shot at shorting EUR/USD. It has clearly been trending down this past week, and in the past couple of days, has been unable to cross resistance at 1.3200. If you think buyers can’t push it above this psychological handle, then you may want to short below this level, just in case price doesn’t reach 1.3200. In this case, 1.3100 seems like a solid profit target. Just be sure to wait for confirmation from candlesticks before you commit to selling EUR/USD! You don’t want to get burned by a breakout, do you? Look out below yo! EUR/CHF just can’t seem to find a bottom after breaking below its all-time low a few days ago. Judging by its sharp drop, it seems like the pair is still destined for new lows. This is a good chance for you to practice your multiple time frame analysis! 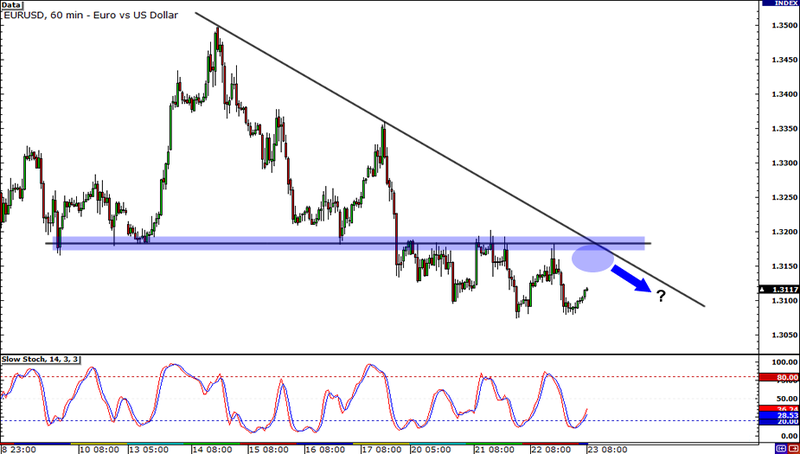 Zoom in to lower time frames and look for good opportunities to jump in and short EUR/CHF. Be on the lookout for bearish pennants, continuation patterns, and retracements. It’s not too late to grab a few last-minute pips before Christmas eve! You gotta do what you can to get the moneys for the honeys, playa! It seems that all them Aussie traders have taken an early vacation and hit the waves already! 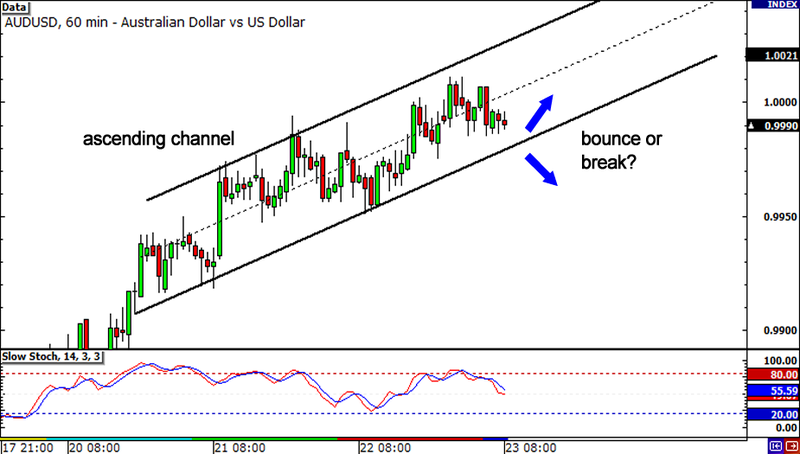 AUD/USD has been trading in a tight range this past week, and has been stuck within a sweet ascending channel. With price approaching the rising support line, will price bounce or break? With it being the Christmas season, chances are we won’t see enough liquidity for a solid break of the channel. Still, be on the lookout for a solid candle close below the rising support, as it would be a sign that this pair is headed for new lows!